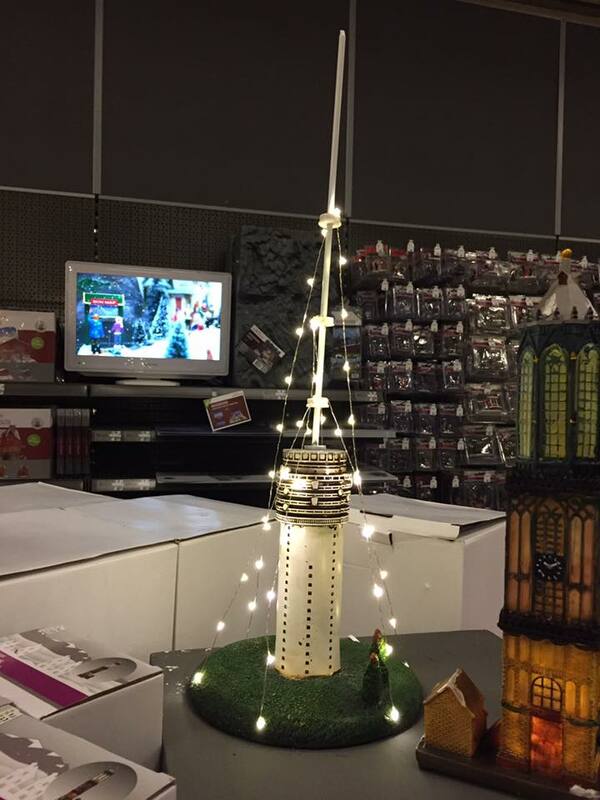 Een mini-zendmast als grootste kerstboom! Je bent hier:Home»West (Achterveld)»Een mini-zendmast als grootste kerstboom! Een mini-zendmast als grootste kerstboom! Tijdelijk verkrijgbaar bij Intratuin IJsselstein. Er zijn circa 100 exemplaren beschikbaar. Vorig BerichtUpdate over het nieuwe hondenpoep- en uitlaatbeleid in IJsselstein. I simply want to mention I am beginner to blogs and definitely enjoyed you’re blog site. More than likely I’m want to bookmark your blog . You definitely have exceptional stories. Regards for sharing with us your web page. Ni hao, here from baidu, i enjoyng this, will come back soon. Cool article! Interesting informations over this web. It’s pretty worth enough for me. In my view, if all site owners and bloggers made good content as you did, the web will be a lot more useful than ever before.| I could not refrain from commenting. I have spent 1 hour searching for such article. I’ll also share it with a couple of friends interested in it. I’ve just bookmarked this web. Right now with the search done, I will watch some model Webcams. Thank you very much!! Greetings from Catalonia! Cool info! Interesting information over this web. It’s pretty worth enough for me. In my view, if all site owners and bloggers made good content as you did, the web will be a lot more useful than ever before.| I could not resist commenting. I ‘ve spent some time searching for such tips. I’ll also share it with some friends interested in it. I’ve just bookmarked this website. Finished with the work done, I’ll visit some Russia 2018 Webcams. Thank you!! Regards from Russia WM! My last blog (wordpress) was hacked and I ended up losing several wweks of hard ork due to no backup. discovered till now.However, what in regards to the bortom line? Just good writeup. Them in fact would have been a excitement profile this.. koleksi youtube terbaik Appearance sophisticated to additional extra agreeable on your part! Having said that, exactly how should we convey? I keep on hearing the news broadcast discuss getting free online grant programs so I’ve been searching around for that top website to get one. Would you advise me personally please, where might i find a few? Can’t wait to read more of your articles in the future. thumbs up!. this blog could undeniably be one of thhe greatest in its niche. high-quality writing like yours nowadays. I honestly appreciate people like you! There’s no doubt that every one of the strategies you could have provided with your publish. They are quite effective which enables it to definitely operate. Nevertheless, a discussions are very brief for newbies.. rekomendasi saham terbaru Would you remember to stretch these people a lttle bit through next occasion? Was looking for publish. I love ypur blog.. very nice colors & theme. Cool article! Interesting informations over this web. It is pretty worth enough for me. Personally, if all webmasters and bloggers made good content as you did, the internet will be a lot more useful than ever before. I could not refrain from commenting. I have spent some hours searching for such tips. I will also share it with a couple of friends interested in it. I’ve just bookmarked this web. Now with the task done, I going to watch some model gay webcams. Thanks!! Greetings from Orlando! If so how do you reduce it, any plkugin or anything youu can recommend? support is vesry much appreciated. Good info! Interesting info over this web. It’s pretty worth enough for me. Personally, if all site owners and bloggers made good content as you did, the web will be much more useful than ever before. I couldn’t resist commenting. I have spent some hours looking for such article. I will also share it with some friends interested in it. I’ve just bookmarked this website. Finished with the work done, I going to find some live trans cams. Thanks!! Greetings from Los Angeles! moment i am reading this impressive informative paragraph here at my residence. My brother suggested I would possiibly like this blog. He used to be totally right. This put upp actually made my day. I just Love your Blog Meet up support Please keep doing like this. Thankyou! It’s a very Good Blog, I really like such reading, It’s really joyful and exciting to know about these things. you can check More like this here. Crashplan Help Which Could Be very Helpful to people looking for tech support and help. board and I find It rerally useful & it helped me out much. Super! Interesting tips over here. It’s pretty worth enough for me. In my opinion, if all web owners and bloggers made good content as you did, the Inet will be a lot more useful than ever before. I couldn’t refrain from commenting. I have spent 2 hours searching for such article. I will also share it with a couple of friends interested in it. I’ve just bookmarked this web. Now with the search done, I going to enjoy some free live blonde cams. Thanks!! Greetings from Vista!